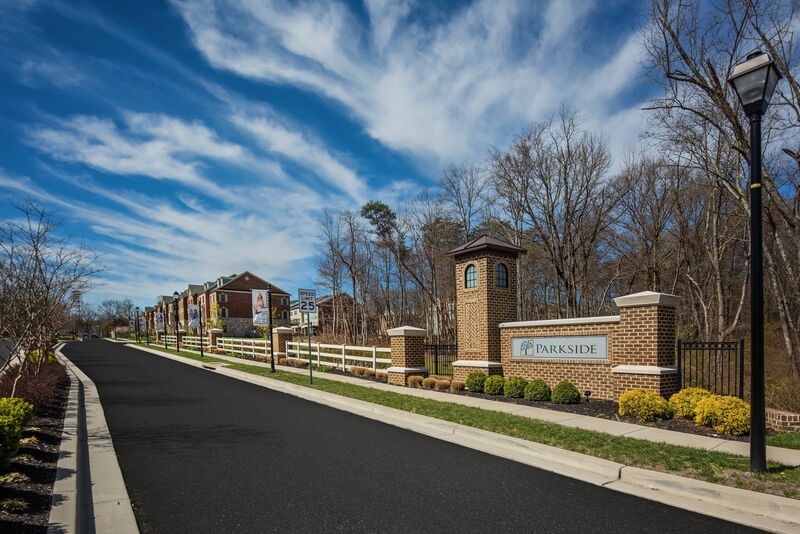 Welcome to Parkside - an upscale resort style community with unbeatable convenience! Offeringthe perfect combination of style, location, and luxury for buyers who don't want to compromise! You will feel the difference when you come home. Click here to schedule your visit. Our well-appointed townhomes offer up to4 bedrooms, up to 3.5 baths and a 1-car garage. They include 3 finished levels, plus they come with all the high-end finishes you want in a home – custom designed brick and partial brick exteriors, hardwood floors, 9 ft ceilings, granite countertops, upgraded cabinetry and much more! An abundance of resort-style amenities can be found throughout Parkside’s vibrant neighborhood. From a state-of-the-art fitness center, outdoor pool, community trails and playgrounds to the grand clubhouse, nature parks or movies on the event lawn - at Parkside there is something for everyone. Enjoy unbeatable convenience at Parkside. Located right of I-295 and minutes to shopping an dining, come visit us and see for yourself just how easy to it is to live here! Come see why we've sold over 500 homes already!Contact us todayfor your personal tour of this beautiful community!